When I was a kid there were two types of candies I spoiled my stomach with: candy cigarettes and candy buttons. I know before you even mention the candy cigarettes…..I know. They taste about as great as the real thing. But those sugary candy “buttons” as they were called, were the BEST. You got this huge colorful strips of pure sugar that you could peel off and pop in your mouth for an instant beautiful crunch. Ahh…kid heaven. Now while my waste line is far more important than sugar dots nowadays, I am still busy planning Valentines for the kids and it struck me that this throw back candy is fun that will never go away! 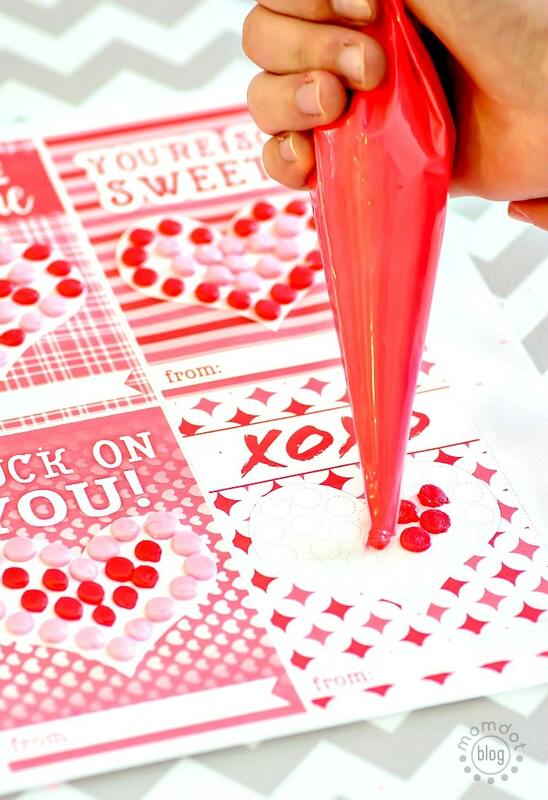 I wanted to pass on a FREE PRINTABLE that you can easily make sugar dots with, seal up in a cute plastic bag, and hand out in the classroom for a custom valentine that is way more fun than a little cardboard card. First, lets start with the card so you have that on hand. This free printable has little dots available to “guide” you exactly where to add your sugar dots! They can dry right on there before they are sealed up for gift giving. Just click below and download this adorable sheet that you will place your buttons on. I highly recommend printing these at BEST quality on CARDSTOCK as the buttons will be too heavy for regular printer paper. Don’t worry, they peel perfectly. Next you will need the recipe to create candy buttons. It’s actually super easy! flavoring extract. We used almost, but you can easily flavor with lemon, orange, etc to change up the taste. Experiment here, its fun! Want a smaller batch of candy buttons? Combine your egg white sand sugar in a mixer for approximately 1 minute. Once mixed, add your flavoring and 3 tablespoons of water to the mix. Now mix on HIGH for about 10 minutes. Your sugar should start to get thicker. If it’s TOO thick, you can add additional water to the mixture but start slowly. Once your icing mixture is smooth and the right consistency, you can add food coloring. 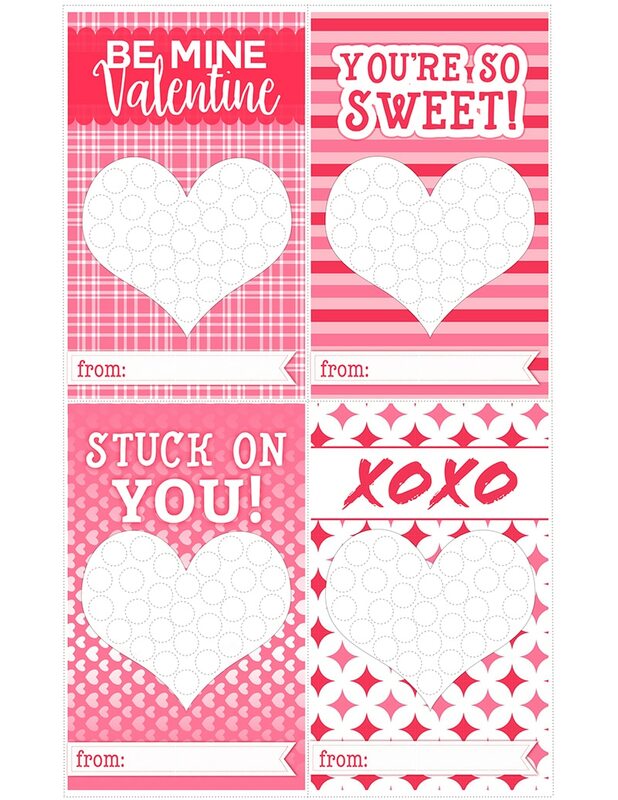 Then use our free valentines printable and a pastry bag to carefully add dots to each page. Let sit overnight or for about 12 hours till hardened and seal up in a small baggie to pass out! Once mixed, add your flavoring and 3 tablespoons of water to the mix. Now mix on HIGH for about 10 minutes. Your sugar should start to get thicker. If it's TOO thick, you can add additional water to the mixture but start slowly. 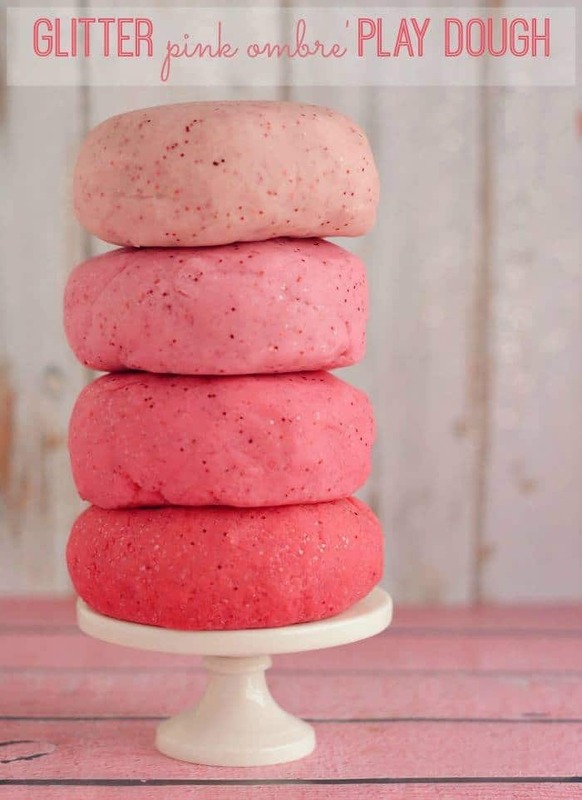 Once your icing mixture is smooth and the right consistency, you can add food coloring. Separate to have more than one color. Pipe onto the sheet into small dots. Let sit overnight or for about 12 hours till hardened and seal up in a small baggie to pass out! Now again, don’t forget to download this printable and then SAVE THIS PROJECT ON PINTEREST here. You will not want to lose this one for future parties! 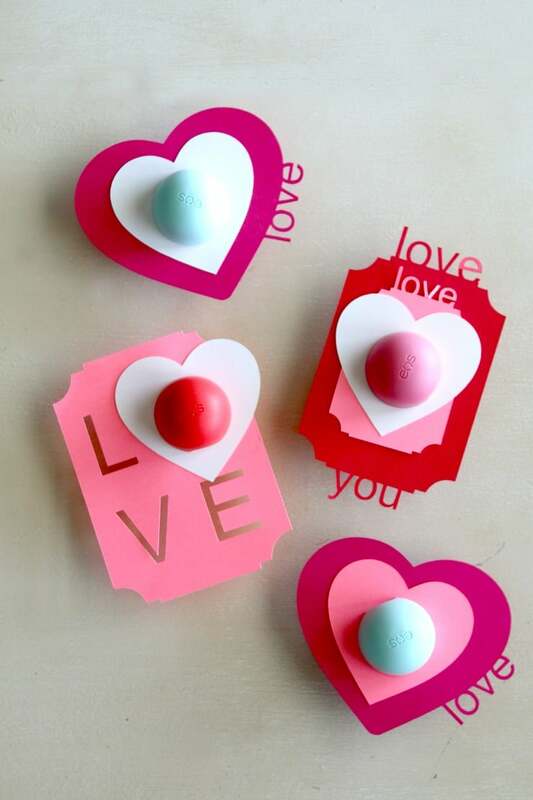 See more Valentines Day Crafts!